Ryan Bulkoski to lead AI Specialty Practice at Heidrick & Struggles. CHICAGO and SAN FRANCISCO, June 20, 2018 /PRNewswire/ -- Clients across all industry sectors will be served by a new specialty practice in Artificial Intelligence (AI) at Heidrick & Struggles (Nasdaq: HSII), a premier provider of executive search, leadership assessment and development, organization and team effectiveness, and culture shaping services globally. Machine learning and other advanced forms of AI can help companies in every sector move beyond process automation that has helped drive efficiency and growth. Integrating and optimizing adaptive changes made possible by AI can provide massive competitive advantage. But there is a critical shortage of leaders with the ability to apply a deep understanding of AI to completely rethink and transform an organization's business model. For more information on the Artificial Intelligence Specialty Practice, visit http://www.heidrick.com/What-We-Do/Executive-Search/Emerging-Specialty/Artificial-Intelligence. Led by Ryan Bulkoski, a San Francisco-based partner, Heidrick & Struggles' AI Specialty Practice will help clients identify and develop senior talent needed to bring the power of emerging technologies to their business. "Our clients are eager to incorporate AI and adaptive learning into their business strategies, and recognize the need to build their expertise and talent pipeline in the space," said Krishnan Rajagopalan, President and CEO, Heidrick & Struggles. "Ryan brings to his role extensive experience advising clients on their senior talent needs as they navigate unprecedented uncertainty and technological disruption." Bulkoski has played a critical role in building the firm's expertise in AI and digital transformation, supporting clients across financial services, technology, industrial, pharmaceutical and consumer retail. 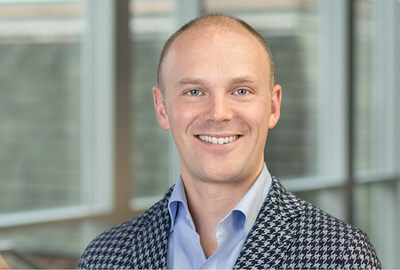 Heidrick & Struggles has placed numerous senior executives in key roles – including Chief Artificial Intelligence Officers, Heads of Machine Learning, and Chief Data Scientists – as far back as 2012 to help organizations ranging from start ups to private equity firms to Fortune 500 companies unlock the potential of AI. "The further development of our AI focus will allow us to better help our clients identify talented executives who can drive enterprise-wide transformation through AI and machine learning solutions," said Bulkoski.